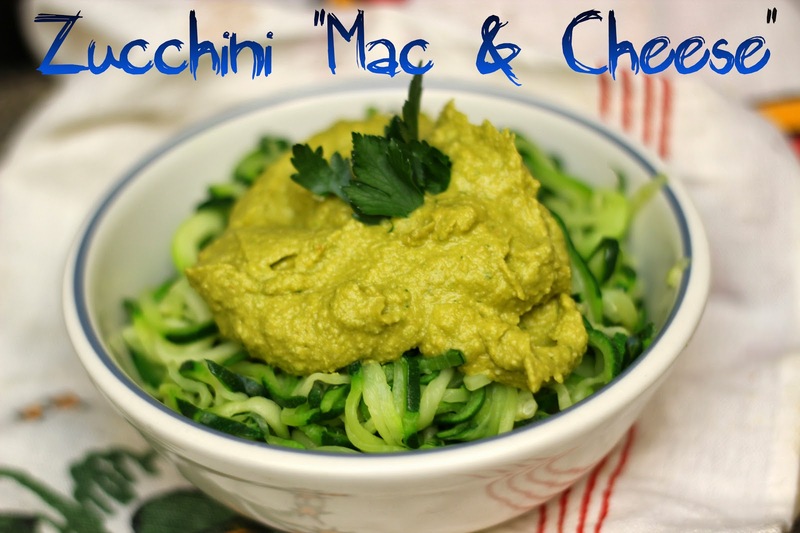 Paleo Zucchini "Mac & Cheese"
I have a special guest today!! Gabriella has an amazing story plus tips on how to become paleo and she tops it off with a recipe! WOW, this girl knows how to blog 🙂 Make sure to visit her blog when you are done. As a child, I remember being pretty skinny until I was nine years old. I had a couple of traumatic events happen in my life and I began to seek solace in food. When I look at old pictures, I can almost pinpoint the change in my demeanor and appearance. I quickly went from being a happy thin 8-year old to a chubby sad 9-year old. My first diet was in seventh grade, I was about 11 years old. At the time, my father was trying to lose a little weight and we had a number of diet pills in the house by a very popular company called Herbal Life. I remember sitting in gym class one day and just thinking “oh my God, I am so fat! What am I going to do with myself? Nobody likes me!” I stopped eating lunches my mother would make me and I reduced my meal intake to 1 per day. I also started sneaking the diet pills to school with me. This really wrecked havoc on my blood sugar and I became an emotional mess. I had several breakdowns, including one at my 12 year old birthday party. I don’t remember exactly how I got out of it, but friends who were concerned about my well-being helped get me off of the pills and start eating better again. Paleo is often referred to as the caveman or paleolithic era diet. It centers around the concept of eating like our hunter-gatherer ancestors. Much like the GAPS diet, Paleo is a therapeutic dietary lifestyle aimed at helping people feel better. It’s been shown to be beneficial for weight loss, improved glucose tolerance, lowered blood pressure, and cholesterol reduction. Paleo diet involves eating real, unprocessed food, specifically grass-fed meats, grass-fed organ meats, eggs, seafood, vegetable, nuts, seeds, and fruit; and avoiding sugars and grains. Besides being mostly pain free (I have flare ups sometimes when I eat out and forget to mention that I am allergic to dairy), Paleo has improved my skin and digestion. My skin is now brighter and smoother than it had been in years and I have virtually no bloating and stomach pains. Additionally, I feel like it’s made me smarter. I’ve been eating lots of great brain healthy fats like coconut oil, duck fat, and red palm oil. Since the brain and the myelin sheath are over 2/3 fats, these healthy fats have been supporting both my cognitive and neural function. Neurologically, the tingling I had in my hands and feet has also disappeared. I haven’t felt this great in years! Often, for breakfast, I will eat butternut squash puree with duck fat and rosemary salt with a side of Kale or other greens. For lunch, I usually have a big bowl of soup, like Borshct. Dinner is usually a stew loaded with veggies and greens, like my Tongue Stew or Zucchini “Mac & Cheese,” for which I share the recipe below. For snacks I have sardines, nori wraps, flax crackers, and an occasional Paleo friendly cookie, like my Ghoulish Green Cookie! I also eat lots of fermented foods like sauerkraut, kombucha, and coconut yogurt. 1. Shop the farmers market, where you can often find local grass-fed meats. You can also find companies online that deliver. 4. Cut the grains! Grains contain anti-nutrients like phytic acid, which binds to calcium, magnesium, iron, and zinc keeping you from absorbing them. This can lead to mineral deficiencies that can cause a variety of problems such as infertility, suppressed immunity, and migraines. Here’s my one of my favorite go-to paleo dinner recipes, Zucchini “Mac & Cheese.” Check out my blog www.acraftygourmet.com for more recipes, giveaways, and book & product reviews. Gaby, I love this! You are super creative to combine the sunflower and the butternut squash. And thanks for linking to my Sun-Flour! I will try this “mac and cheese” this week!